Volume 3, Edition 11	 Trouble loading? View this email online. 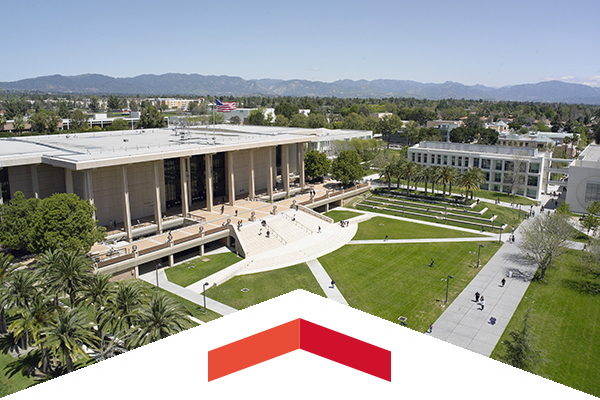 CSUN will be recognized next month by the Los Angeles County Economic Development Corporation (LAEDC) with a 2015 Eddy Award. The award honors those who have played leading roles in the development of the county’s economy and in the creation of well-paying jobs for its residents. 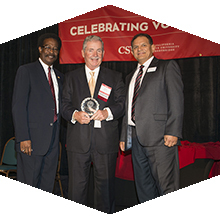 Alumnus David Malone and former psychology professor Richard Smith received the highest honors at CSUN’s 14th annual Volunteer Service Awards. In all, 37 people were recognized for their respective contributions to the overall success of the university. 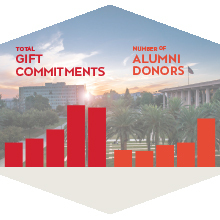 Donations to CSUN have seen a steady rise, thanks to a dramatic increase in the number of alumni donations. CSUN closed fiscal year 2014-15 by receiving more than $19.5 million in gifts, which is an 82 percent jump from five years ago. This shows that Matadors are answering the call to help their alma mater meet the academic and technological needs of an expanding student population. Wed, Oct. 28, 7 p.m. Cheer on your Matadors and support the 2015 senior class as they play in the season’s final home game. Join the Department of Chicana/o Studies for celebrations that begin with a night of remembrance, reflection and a viewing of the alters/ofrendas. It continues with live music, food, art vendors and face painting for children. Thu., Nov. 5, 8 p.m. Praised for bringing a new attitude to classical music, the quartet’s mission is to advance diversity in classical music, engaging young and new audiences through the discovery and presentation of a varied repertoire that includes works by minority composers. Over the past 25 years, the CHIME Institute has grown into a nationally recognized program that includes an early childhood education component, a public charter K-8 school, as well as a research and teaching demonstration center. It has been hailed by educators around the world as a model for inclusive education. CSUN’s Department of Africana Studies will celebrate its 46th anniversary next month with a series of events, including a discussion led by the Rev. Zedar Broadous, former head of the San Fernando Valley Branch of the NAACP and member of one of the most prominent African-American families in the San Fernando Valley. Join the discussion and gain access to a diverse perspective of all functional business areas within the industry including creative development, music, production and writing. Game 1 of the World Series may be in Kansas City, but there will definitely be Northridge representation as the Royals and Mets are set to start battle when CSUN Alumnus Andy Grammer sings the national anthem before the game, which takes place at 5 p.m. on Oct. 27.